Everyone working a program of recovery can remember their first meeting. They can remember what it felt like to get up in front of a room full of strangers, grab a “newcomer” chip and a hug free of charge and identify as an alcoholic or addict. It is a humbling experience to say the least, but is in that moment that the journey of recovery begins. A sign that you are ready to surrender and give something totally alien to you a shot, because let's face it—your way was not working. If you were willing to take certain steps and follow the direction of a sponsor in the coming days and months, then there is a good chance that you were able to acquire some clean or sober time. Which—hopefully—you have managed to hold on to. If you made it that far, then you know that recovery is about more than just working the steps and attending meetings. You know that is also about giving back the gift that was given to you gratis. Working to improve yourself mentally, physically and spiritually on a regular basis is crucial to keeping one’s program in tact as well. The latter is often the most difficult, but of the utmost importance. Every day, recovering addicts and alcoholics need to recommit themselves to living a spiritual life. Rededicate to practicing the principles of the program in all their affairs, lest one fall back into old ways of thinking (“stinking thinking”). It is quite common for those in recovery to experience the gifts that working an honest program can provide, only to digress back into selfish ways of looking at things. Naturally, protecting one's sobriety is a selfish endeavor, but the great paradox is that recovery can only be held onto by living selflessly. Unfortunately, it is often hard for you to tell when old ways of thinking have reappeared from deep down in your mind. We are often blind to our own shortcomings, but our peers may not be. That is not to say that others should take your inventory for you, but rather, your support group may be able to spot something that you might be to close too see. 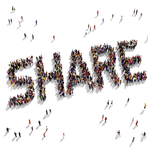 It is ever important that you do not undervalue sharing with others. A reality which is often hard to cope with, considering that alcoholics and addicts’ default setting is to think that they know what is best. While there are a number of reasons why people working a program with the twelve-steps have been able to stay sober for long periods of time, community and being honest with your peers are perhaps the most important. When you share honestly with your peers about how you are feeling, what you are thinking and what you could work on, you essentially let go of things that may have been holding you down. Or worse, things that may be leading you down the road of relapse. If you have not shared with your "homegroup" in a while, and relapse is honestly not an option for you—raise your hand at the next meeting you attend. When you put something out to the group, you never know what might come back. But it is usually of great benefit to one’s program, no matter how much time you have.